It might be me, but I've always figured horses should walk like horses. Until I met 'Pretzel' who with his pulled out shoulders hauling up his odd shaped feet, appeared a least a bit like an alligator. 'Pretzel' because that was the shape of the shoes on his front feet. To be honest it is early days yet and there are hurdles to be leapt before this horse has truly robust functional feet. But for any horse just out of shoes he is doing well. For an OTTB with a serious injury in his past and more than a score of races he is doing really well. It wasn't the easiest deshoe, the nail clenches were buried in the foot and the clips were so tight the hoof was the filling in a sandwich. We got there though and Pretzel walked off better without the metal. Hooves were a long way from healthy. On the fronts the soles were thin, convex, with some thrush, and thinned hoof walls. Not the worst but definitely on the way. Completely bent out of shape, largely from human intervention and the application of metal. His person had done everything within their grasp right, including putting him on a more suitable bucket feed for six weeks prior to shoe removal. At present off the shelf hoof boots don't come in his particular shape. So his human was on the case making nappy and duct tape boots (NDB) so Pretzel could negotiate stony ground while his soles were still so thin. Regular walking in NDB helped stimulate his feet, took him through the pins and needles stage and within four days it was already possible to see an improvement. The frog is bulking up and the thrush is all but gone. This has been a relatively inexpensive process. Nappies at 7.5 pence each (9 US cents) and a few rolls of duct tape. Much Red Horse Artimud has been used initially, with daily use of Red Horse Sole Cleanse. But when thrush is in check, application once or twice per week is sufficient depending on your horse and their environment. Pretzel in shoes would stand in his field and hardly move. Barefoot Pretzel runs, plays and has a great time. And has been sound enough to school, moving better than ever according to the Instructor. Does it matter what breed my horse is if I want to take them barefoot? From an anatomical point of view - not really. Sure you will notice a difference in the shape and size of hoof according to breed. However all normal hooves have the same internal and external anatomy. And I have seen some with congenital issues that still worked perfectly barefoot. What may be different is the health of those structures when they are first taken barefoot. And that is a human made problem. If your horse was bred for competition, chances are that they will have started having problems early on. Diets intended to 'grow a horse on'. ie make them appear more mature than they really are, for futurities or the sale ring, tend to have a negative impact on foot health. These horses also tend to get shod very early on, long before the hoof has reached maturity, which compounds the problem. That happened to Kevin and the end result was that he was going to be PTS before he was even 5 years old because of 'incurable' navicular. He is still with us, still sound and around age 13. And he had a competitive career before he landed at my door. Thoroughbreds intended for racing suffer even more. But they can still be rehabilitated and have a successful competitive career post racing. Tends to take a bit longer, but not always. 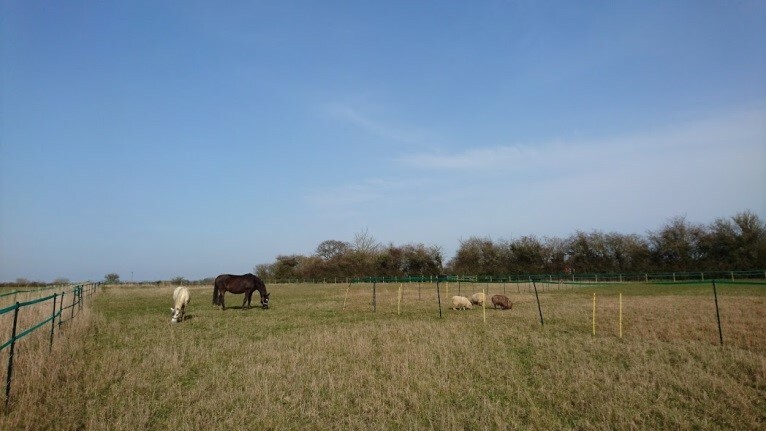 Can highly bred horses be rehabilitated? Yes but it tends to take a bit more time, patience and skill than those horses who have not had these early management challenges. Often these broken down sports horses come to barefoot as a last chance. Everything else having been tried, many thousands spent. And yet they still come right. Extraordinary really. But it happens time and again. Success is hugely dependent on the care givers and the advice they receive and are able to implement. How are you measuring size? The height of the horse is pretty much irrelevant. Kevin is 17.2 (177cm), a lot of barefoot horses are this tall, some are bigger. It isn't an issue. However if you horse is obese this won't help. But no horse should be kept fat regardless of how we want to manage their hooves. Can your horse's hooves be too small? This is an old myth that still pops up from time. My old, old horse, before we took her barefoot, had her hooves deliberately flared in the mistaken belief that this would give a greater surface area on which to spread the load. It didn't work, and was one of the reasons we took the great leap and removed her shoes. Her competitive career continued. Of course my sample is skewed because I mostly see this type of horse when they have been broken beyond the redemption of tradition. In summary, the breed isn't that relevant, but the nature of the 'injury' suffered will impact on how long it takes to get the hoof back to optimum health. Can I take my horse barefoot? Unless you get 'bounced' by circumstance into de-shoeing your horse you need to ask yourself some frank questions before adopting the barefoot horse lifestyle. A Why do I want to take the shoes off my horse? B What do I expect to gain from it? C How much time and effort am I prepared to spend managing my horse? D Do I have support for my choices? 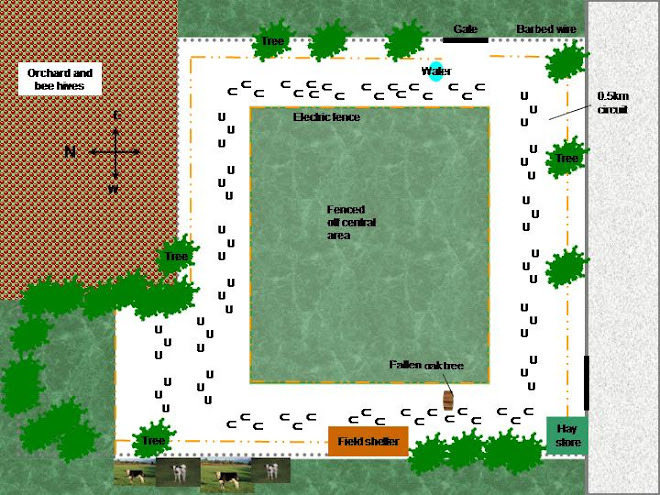 E Are you prepared to change the management of your horse if necessary? F How do you think about your horse? G Who is responsible for your horses hoof health? Now tot up your answers. If you have responded with mostly 3's and 4's you have a good chance of successfully managing a barefoot horse. Having a barefooted horse very firmly places the responsibility for managing the detail of achieving a healthy hoof in the owner/main care giver's hands. Be prepared to put aside a myriad of myth and start learning some real wisdom in modern hoof care. 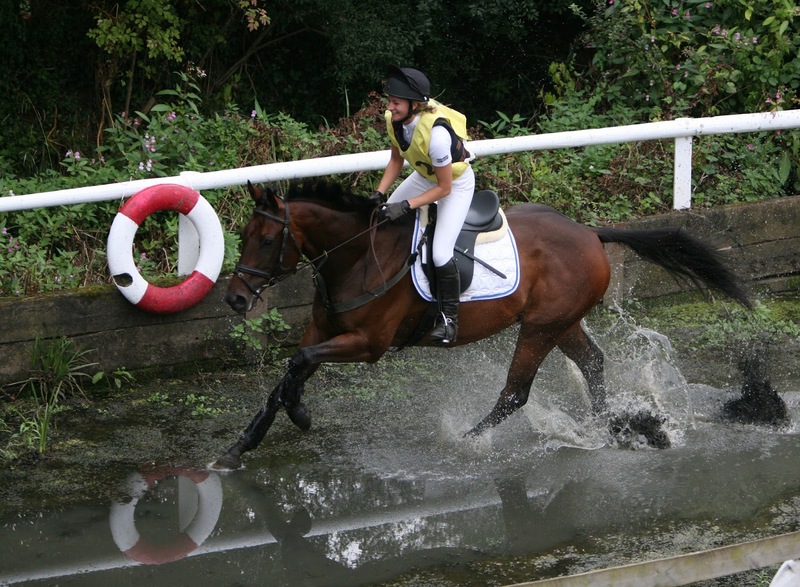 If you have answered mostly 1's and 2's you might struggle to manage your horse barefoot. 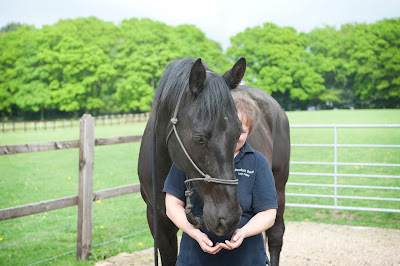 The responsibility for keeping your horse's hooves in optimum health is firmly in your hands. It takes time, patience and a lot of myth ditching and learning new techniques. If you mess up you have to take the consequences. On the plus side, there is nothing more rewarding than realising you have the power to transform your horse's well being and then doing just that. Sole view, not clear in photo but it was bulging. You can see more of the state of the sole here. A better view of the damage to pedal bone. Let this one sink in. Look at it. Then look again. And again. Ask yourself, how did this hoof get like this? This foot is from southern UK not a backwater in a third world country. Let's work together to ensure that feet like this get consigned to history. To introduce myself to those who don’t know me already - I’m Julie, one of Lucy’s newest Barefoot South Associates. I’m based in Mid Suffolk and I’m offering trimming services in Suffolk and Norfolk, as well as parts of Essex and Cambridgeshire. I’ve had two main passions for as long as I can remember, horses and dance. The dance seeming to give me a true understanding of the balance, movement and grace that is seen in a fit, healthy horse. I could also see that some of the horses I was working with didn’t have that same ease of movement as their wild counterparts but, at the time, I couldn’t figure out why. Then I met Mr Thomas. Try as I might I could not get him sound and, to cut a (very) long story short, I stumbled somewhat blindly into the world of the unshod horse. After many wrong turns, frustrations and research I found Barefoot South and a place where I could learn about diet, exercise, environment and the barefoot trim without it all being a big secret. It was a bit of a revelation. I decided that I would train as a trimmer and from then, everything changed – after two years of studying I passed my exams, meeting both the expectations of Barefoot South and the requirements of the Equine Barefoot Care National Occupational Standards. 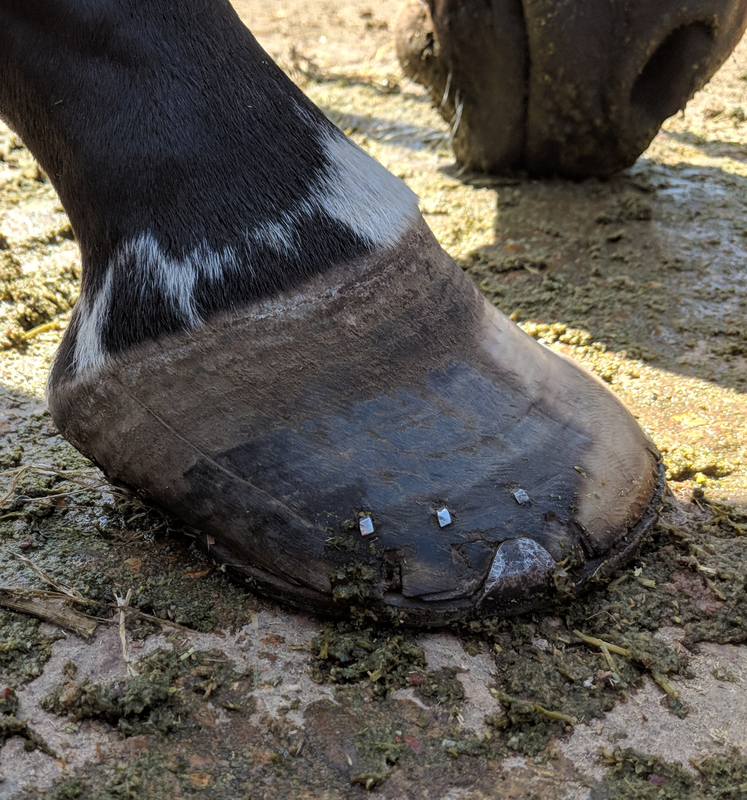 Having confirmed my status as a hoof geek (I’m always happy to expand on my geek credentials) I want to help owners to help their horses find their balance, movement and grace and go on to do fantastic things – whatever that might mean to them. Oh, and Mr T? He’s sound. I can’t wait to see where this new journey takes me. Hoof cracks can be scary, but they don't need to be. I'm not big on drama, it just gets in the way. See the hoof crack below. When I was called to this case, the hoof crack had been present for 9 years and if I understand correctly had been resistant to conventional wisdom/treatments. The horse was persistently lame. The crack originated from a field gate injury. The first photo was 5 months ago. You can see the crack runs from just below the coronary band to ground. It is wide, deep and infected. The toe is also long and the dorsal wall has a distinct dish. The 'Hoof Fairy Wand'* was activated and the second photo is now; December. The crack is growing out nicely. There is a little gunk in the crack, but it is less than 2mm deep. The horse is now sound to hack out. Mid December 2016 crack is shallow and growing out. * Sorry - the magic wand doesn't exist. 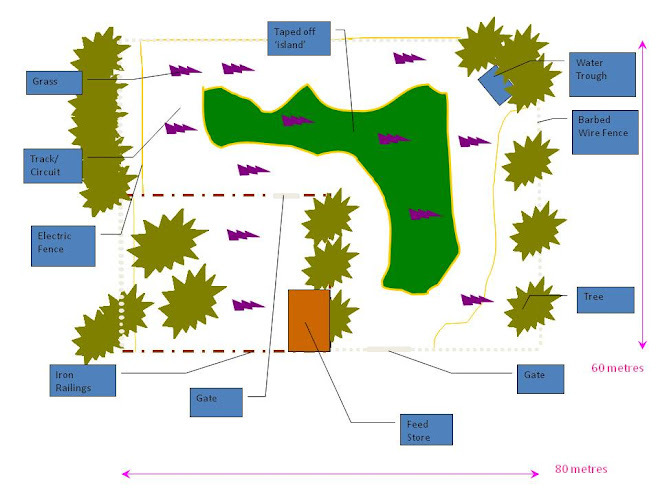 Working as a team we tweaked a few things and the owner has done an outstanding job. Not all horses are able to self trim. Maybe they don't do the miles, maybe their work load is inconsistent, maybe everything they do is on the squish. It can all end in tears. See the first foot, more or less self trimmed. Then look at the second and third photos. The latter in particular via the wobbly event lines show just how 'out' the foot was. Went from very lame to high mileage performance horse. Not overnight obviously. This horse was tripping and couldn't stand properly. An easy fix. Shame that it had to get this far. Can you see what is wrong with the hoof capsule shape? 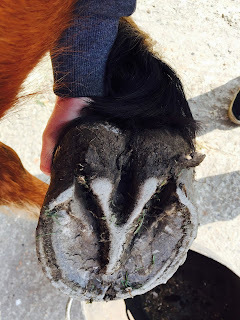 Do hooves with WLD, Abscesses, or Seedy Toe need shoes to be fixed? This horse had them all and the post relates to a horse I saw several years back, but I never showed you the finished product. Well here you go. Before and after shots in pairs. FYI - this was not achieved overnight and took frequent trim intervals. 1 - This is a KWPN I first met aged about 5. 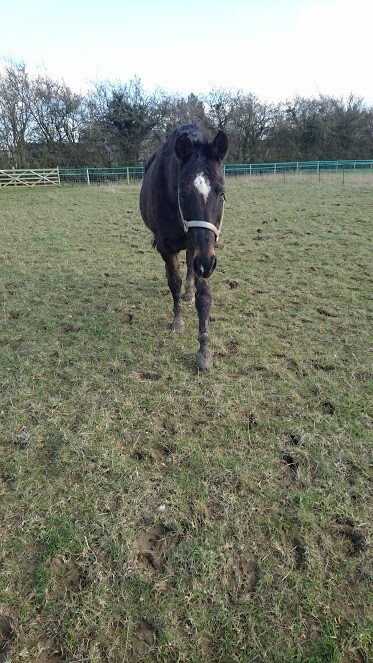 Diagnosed Navicular the prognosis was poor and the Vet School advised PTS or at most a year as a light hack on Bute. He is now 11 and doing just fine. A sugar sensitive Labrador x Shetland pony of a horse, he weighs in about 750kg, or 1653lb for folks from the US. He stands at 17.2hh, or 178cm in his bare feet. 2 - The big news is that he can turn out in a herd of 14 on 30 acres of ex woodland. Relatively poor ground on a stonking hill that suits him pretty well. 3 - He can also jump. The horse it was rumoured couldn't jump, quite clearly can when sufficiently motivated... He decided he wanted to come in and the gate was shut, so he jumped the fence, uphill and out of mud. We found the foot prints. Never say never! was lengthy. Movement resembled an old man with a Zimmer frame. Compare the heel height in photo 1 with the good foot in photo 2. You can see the likely consequences for the pedal bone of the hoof in photo 1, even without an x-ray. The high heel was added to with a further wedge. Note the event lines and rasped out toe. The shuffling horse became something of a tank on overdrive when shoes were removed. Ridden work commenced earlier than usual in the rehab process because the horse was so strong in hand. The photos below are just 7 weeks post de-shoe - change can happen fast in the right circumstances. The owner has worked hard to achieve this. 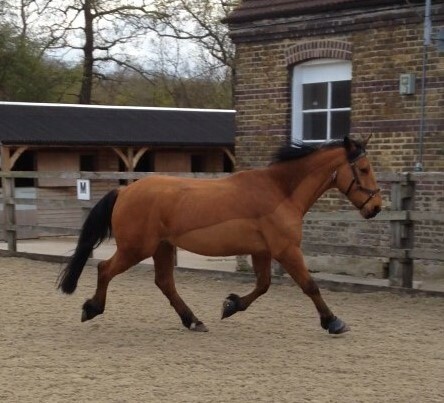 3 months post de-shoe and the horse is moving really well. Thrush is still an issue - it had got so deep into the foot under the pads and up into the sheared heel. But it is getting better. Horse jumped out of his field a time or two, so obviously feeling well. Congratulations to the owner for seeing this through and sticking with him. Let's be honest - our judgements do have a habit of being coloured by our personal experiences. It is incredibly challenging to cast our life learning to one side and embrace the new and unknown. It's no different with horses. I remember having a challenging discussion with a vet regarding rehabbing larger horses. Apparently ponies are easy, but big horses are impossible because they are too heavy for their feet and if the feet are compromised and unshod all is lost. Of course this is based on their personal experience. Well this vet needs to meet the horse I worked on today (among others). I've been working with this horse and his carer for longer than I remember. In the beginning there was so much wrong, it was hard to believe there was any point in trying to rehabilitate him. Not just the poor state of the hooves - and they were exceptionally challenging, but also the multiple upper body issues too. But here we are a couple of years or so (I've lost track of time) and the horse is unrecognisable, except for his enormous 17hh+ presence. Sound, his feet are pretty fab. His soles are concave rather than flat. The horn is hard, the hoof wall thick and intact. Frogs are hard and well formed. I can trim his back feet without having to rest his toe on mine. His upper body issues whilst not completely resolved, no longer trouble him to the same extent. He stands straight, no longer loading one foot in preference to the other, no longer routinely pointing. He is shiny, a perfect weight and looks half the age he did when I first met him. If horses could smile, he most definitely does. I will ask his owner if I can post photos in a future blog. But honestly he looks so good, you'd never believe he had been in so much trouble. And if your vet tells you that big horses are too big for their feet and can't be rehabbed - know that this might be the limit of their personal experience, but it isn't fact. This horse and his carer prove otherwise. 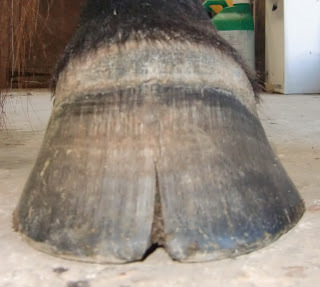 A lot of comment is made about 'long toes' and many a poor horse has had their toes dumped or worse in an attempt to correct a problem by addressing a symptom without a complete understanding perhaps of the anatomy of the hoof or the consequences of addressing symptoms not cause. The following photos are of three different horses, Horses One and Two had a toe shape typically criticised for being overly long. The last one, Horse Three, was considered to be fine. particularly the lateral cartilage. Can we just cut the toe off? Can you see the lamellar wedge? The heel is weak. Is this a long toe? would you cut off to shorten? So what is often considered to be a 'long' toe is actually one with a shallow angle, often caused by a weak/atrophied caudal hoof. This can be only be properly fixed by developing the back of the foot through proper diet and exercise. This trophy will be awarded at our inaugural Barefoot Performance show this coming Sunday. I am so excited to find out who will win it.